Continuing Content Nigeria’s month-long focus on women in the Nigerian TV business, we put the spotlight on Elizabeth Ampka, Kwesé TV’s general manager. Elizabeth Amkpa began her career in the banking industry despite her degree in communications from the University of Cross Rivers State. A few years after her graduation in 1989 she became an officer at the Great Merchant Bank, where she worked for seven years before moving on to become deputy manager of marketing and private banking at FCMB in 2001. In 2006, Amkpa obtained her masters degree in business administration from the University of Sunderland in the UK. However, upon gaining that degree she veered away from the banking industry to launch a career in media, due to her passion in communications. She joined MultiChoice has its national head of sales in 2007, helping to develop and implement sales and ensure the growth and reach of one of its pay TV offerings, DSTV. 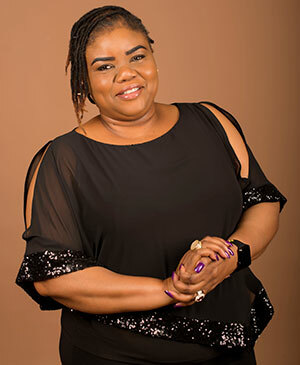 In 2012, she became the general manager of GOtv, MultiChoice’s DTT platform, aiding in the launch of the pay TV service across 45 cities in Nigeria and also helping to manage the digital switchover transition in collaboration with the federal government. However, in 2016 she became the general manager of Kwese TV Nigeria, which launched in Nigeria in November 2017. Amkpa is a firm believer in mentorship, she believes that everyone has something to offer once their talents have been harnessed and directed correctly. With this in mind, she encourages organisations and individuals to mentor young people, some of whom she mentors herself.